The Rotenberg vineyard is located on the west to north-west side of the Hengst vineyard. It does have the same interesting calcareous mother rock, but under a much thinner top soil, very rocky and rich in iron, which gives the typical brick red colour to the soil. The altitude (300m) and facing contribute to both a late ripening situation and also an ease to allow noble rot (morning fog and late evening sunshine) when the weather is favourable like in 2008. 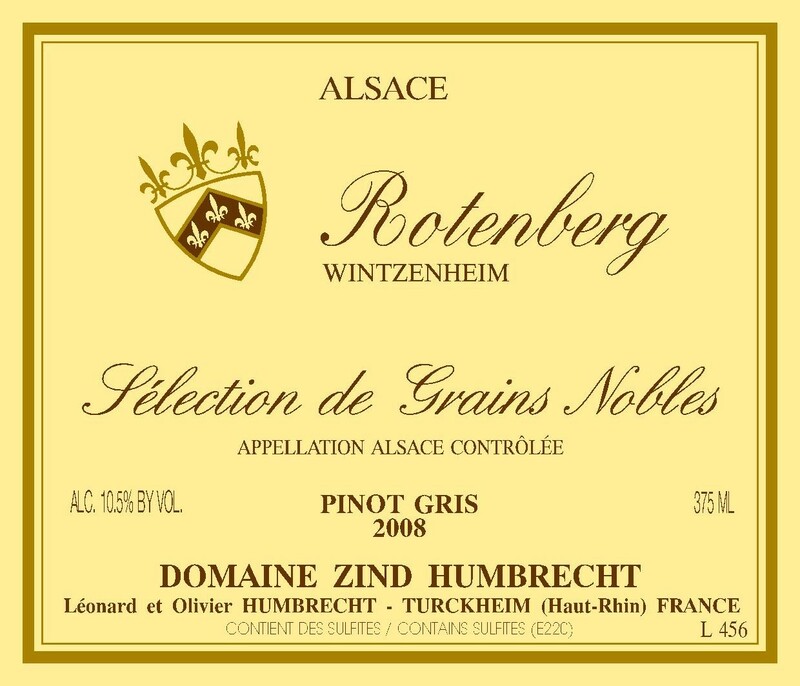 Because we felt that in 2008 the grapes had a perfect balance for producing dry wines, we decided to select first the healthy grapes in order to produce a classic Rotenberg and then select the noble rot affected clusters later once botrytis had invaded most of the berries. We only thought that we would reach VT level, but in 2008, the concentration effect was such that these clusters reached SGN level without any problem. The fact that the acidity is very high, the fermentation stopped earlier and allow for a very delicate balance. 2/2010: it only takes a few seconds or minutes for this wine to open up in the glass and shows lots of ripe fruit flavours (citrus, quince, pears…) and wonderful clean noble rot character (toast, honey). The noble rot was very pure, so the nose is actually very elegant and the colour still quite clear for a wine close to 200g/l of sweetness! The palate is extremely refined and elegant. The wine might be very sweet, but the potential at harvest wasn’t record breaking, so there is no heaviness at all. This balance in an SGN is exactly for me what a classic SGN Pinot Gris should be.